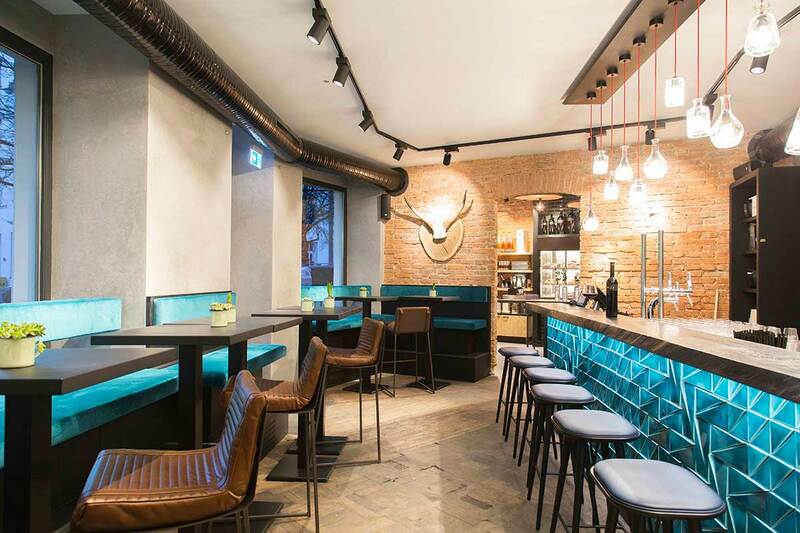 Leo HILLINGER Wineshop & Bar open’s in Munich, with Dark Horse Ribbed bar chairs as a luxurious addition to the space. We’re delighted to have a showcase for our leather bar chairs in Germany. It’s an exciting step in sharing more of our work in Europe and introducing more client’s to the Dark Horse brand. Leo HILLINGER Wineshop & Bar “more than wine”, the slogan of the Austrian company, best meets the concept of the new locality in Munich: traditional food, original Accessories and a lot of life, so that body and soul can breathe and enjoy. If you’re in the area, stop past and enjoy the space, food and atmosphere! Dark Horse is open for sales and distribution in Europe. See more online.